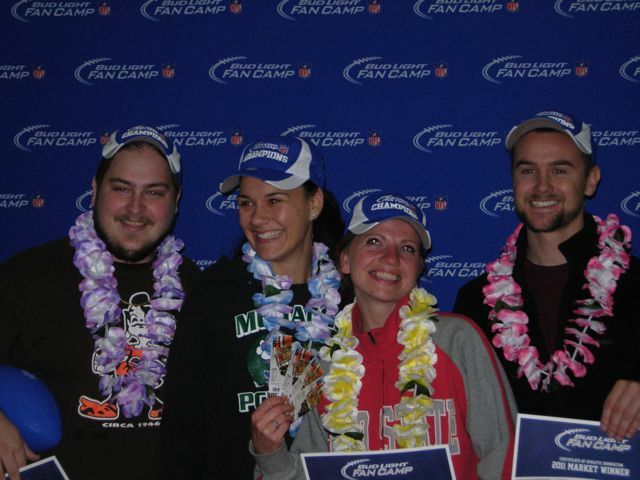 Browns Fan Camp Presented By Bud Light A Success – Congrats To The Winners! Most of the Dawg Pound faithful spend their weekends prepping for the Browns game on Sunday morning, preparing food for their tailgate parties, stalking-up on plenty of Bud Light, and calling-up all their friends to make sure they’re going to be there for the big game. With the Browns in Oakland over the weekend for their match-up against the Raiders, most fans were in need of something else to occupy their Sunday morning while waiting on the game’s 4:15 start time. That’s where Bud Light stepped in. The Bud Light Fan Camp made a stop in Cleveland over the weekend, with an opportunity for a few lucky fans to represent Cleveland in the Bud Light Fan Camp Finals at Aloha Stadium in Hawaii the day after the 2012 Pro Bowl. Contestants participated in five different events: Quick Kick, Precision Pass, EA SPORTS Gaming Zone, Flag Frenzy, and Cannon Catch. 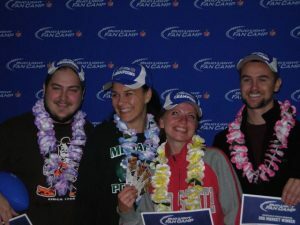 Bud Light described the event as “their twist on training camp”. The rules were simple; each team had to consist of four members – two males and two females, they had to be 21 years of age or older, and had to report to the Cleveland Browns Practice Facility in Barea at 10 AM. Teams competed against each other, with the top teams advancing to Sunday. Only one team could win that ticket to Hawaii. Congrats to Matthew Russel, Ariana Ramic, Pennie Short and Brandon Laughlin! 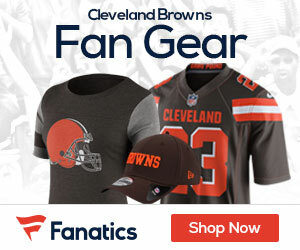 Represent Cleveland – and the Browns – well in Hawaii! Kid on the left definitely swims with his shirt on. Winning this is going to be easier than i thought.